The lawyers at Friedman, Domiano & Smith represent drivers and passengers who have been involved in car accidents throughout Northeast Ohio. We can help you understand your legal options and develop a successful strategy. Have you or a loved one been injured in a car accident and are worried about covering attorney costs? 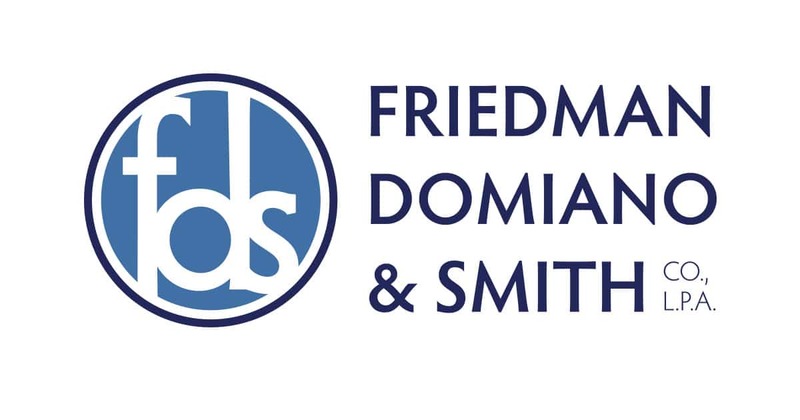 At Friedman, Domiano & Smith, we don’t get paid until you get paid. Sometimes, when people who aren’t experienced with car accidents talk to the insurance company, sign releases, or give statements on their own, they may unknowingly be doing something that makes it harder for an attorney to get them compensation down the line. So you are better off sitting down with a car accident lawyer from Friedman, Domiano & Smith sooner in the process so you can make sure all of the proper evidence is obtained and everything possible is done to maximize the recovery from your auto accident. Read about our verdicts and settlements in similar cases. Call us today at 1-800-280-0070 or complete our online form to get a free consultation and learn more about your rights when involved in a car accident. Being involved in an auto accident can be a very traumatic time. If you have concerns about when to contact a lawyer about your accident, we answers your questions below. How soon after a car accident should I contact an attorney? In Ohio, you have two years to file a lawsuit after an auto accident. However, if you’re going to hire an attorney, you’re better off doing it sooner rather than later. An attorney who handles auto accidents knows what to say to an insurance company, what evidence to present, what to allow and what to not allow in order to maximize the money that you receive in order to compensate you for your injuries. How do I know if I have an auto accident case? then you have a claim for the car accident. There are other cases that you can get for an automobile accident. For instance a recent case that went up to the Supreme Court — someone was hit by an automobile and they landed on the hood of the automobile. The question was, did the auto insurance cover the person that landed on top of the automobile? The Supreme Court says yes because there were policies that said you have to be in, on, or around the automobile and the court held that the person was on the automobile and therefore coverage applies. These are the cases Friedman, Domiano & Smith handles every day. Learn more about car accident claims and when you need a lawyer. Am I responsible for reporting an auto accident to my insurance company even if I wasn’t at fault? Generally speaking, you do want to report an auto accident to your insurance company. In some cases, what may happen is that the other driver who caused the accident either doesn’t have enough insurance or doesn’t have a sufficient amount of insurance. If you have something called uninsured or underinsured motorist coverage, you can make a claim through that coverage and possibly receive compensation from your insurance company. Also, in many cases your insurance company has to get involved for property damage to get your car fixed, especially in situations when there are questions about who was at fault for the accident, or whether you were partially at fault for the accident. So it is generally a good idea to contact your insurance company and let them know what is going on. Jeffrey H. Friedman was injured in a car accident when he was 16 years old and has been fighting for over 40 years on behalf of the injured. When he represents you as an injury attorney, it’s not just business, it’s personal.